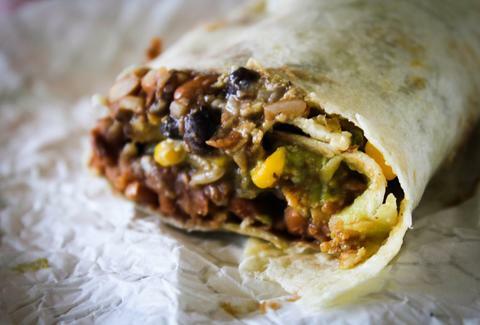 Everyone knows the debilitating need for a delicious burrito can strike at any minute (although it's usually at least two hours before your damn lunch break). But thankfully, a new tool can help you see through the often hangover-level hunger and easily locate all of the nearest burrito joints on a map. As explained in a report by TIME, a Reddit user who goes by “HTMLlama" created the tool, simply dubbed MyBurritoFinder.com. All you have to do is punch in your zip code, city, or neighborhood and the nifty site will map out all of the burrito places in your area. That's it. That's all the tool does, but it could just be the difference between eating a burrito and not eating a burrito, and that's a tremendous difference. Interestingly, the burrito finder doesn't appear to include burrito-slinging chain restaurants like Chipotle or Qdoba, which very well might be for the best. This way, you're playing something like burrito roulette -- perhaps the most delicious form of roulette out there. Tony Merevick is Cities News Editor at Thrillist and could go for a giant burrito right about now. Send news tips to news@thrillist.com and follow him on Twitter @tonymerevick.